Debra Moreland - the designer, the legend!!! - will be here. 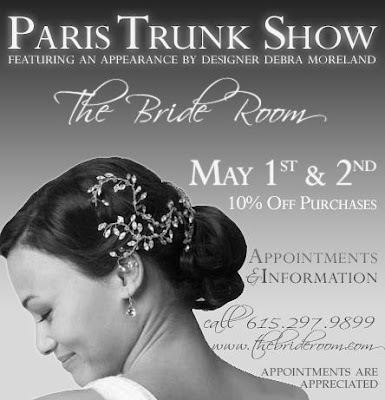 You can not afford to miss this show to complete your wedding day style!!!! Call or email us now - we are booking up!! Surprise Visit... What a Treat!